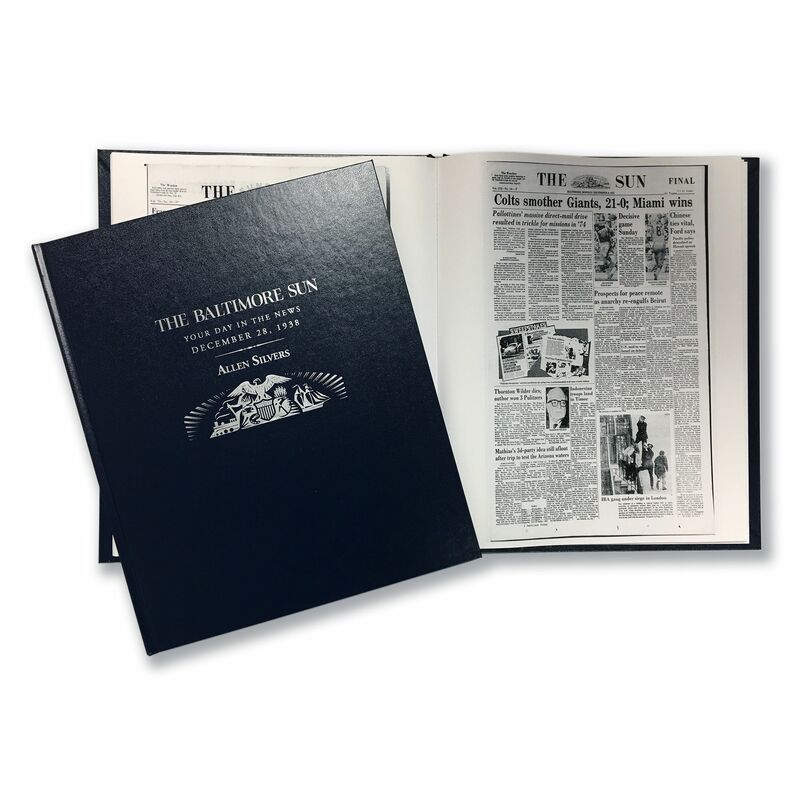 Celebrate a birthday, anniversary or major date in your life with this beautiful bound leatherette book collecting the news of a date of your choosing, throughout the years. Experience the history of the time with a gift that's precious beyond measure. 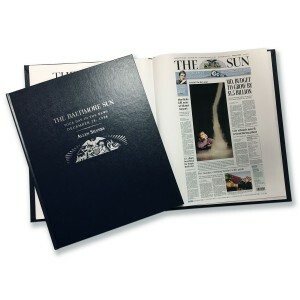 When purchasing this ultimate keepsake, be sure to select the month and date that you'd like to order. Please note that a birth month, day and year are required for any purchase of a Commemorative Date Newspaper Book, along with the name of the person the book will be presented to. All sales are final for this custom-made product. Hardcover. 15" x 12.25"
I plan on giving the book to my sister for her birthday. I had the book delivered to work and showed a couple of co-workers who immediately ordered 2 for family member birthdays. Being able to personalize the cover makes the book even more special. 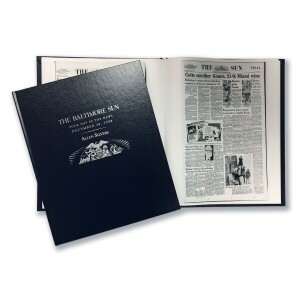 The back of the book came with extra pages from memorable world and local events. Great idea Baltimore Sun. I intend to purchase a few more. I received my Commerative Date book last week. I plan to give it as a birthday gift. I am sure my son will enjoy it as much as I . It is interesting to page through past news reverent to your special day. 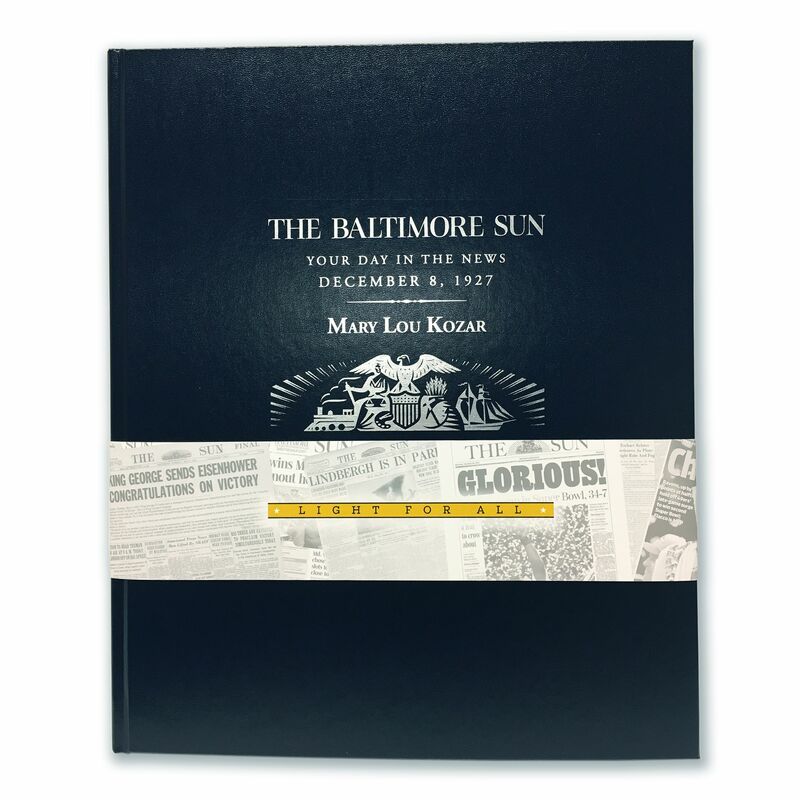 Kudos to The Sunpapers for a clever gift idea.